Loom Knit Cowl Pattern (Free) | Loom Knitting by This Moment is Good! It's officially summer and I hope everyone had a wonderful 4th of July. Mine was spent with family on the beaches of Brigantine, NJ. It was a fun day of swimming in the ocean, good food and corn hole. Unfortunately, I lost every game but luckily I'm a good sport! It was a perfect day except for the green head flies which were apparently in a relentless feeding frenzy. Sometimes it can be hard to share the outdoors with the local wildlife. I took the above shell picture at the Brigantine, South End Cove late in the day just before the sun set. So recently there's been some time off and my studio has been quiet but I did find some time to finish the Kilobyte Cowl Pattern. I'm really excited about this cowl. I love the "digital" look to its' color patterning and the color combinations. 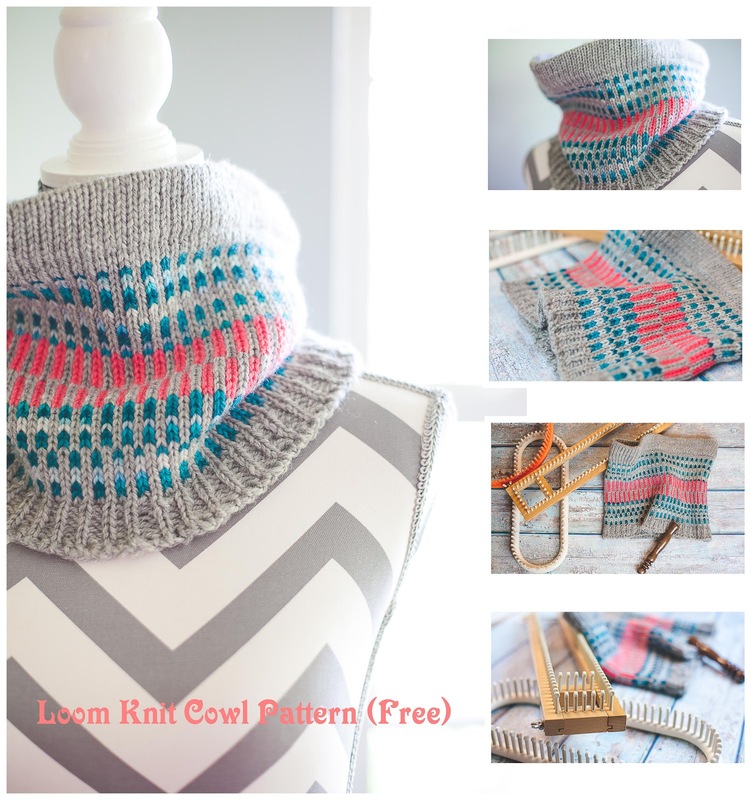 It's a loom friendly cowl and will work on any loom using even peg numbers. If changing the loom, just remember to use the proper yarn weight. I really like this cowl on a smaller gauge loom as you get more color patterning, which really shows off the effect. 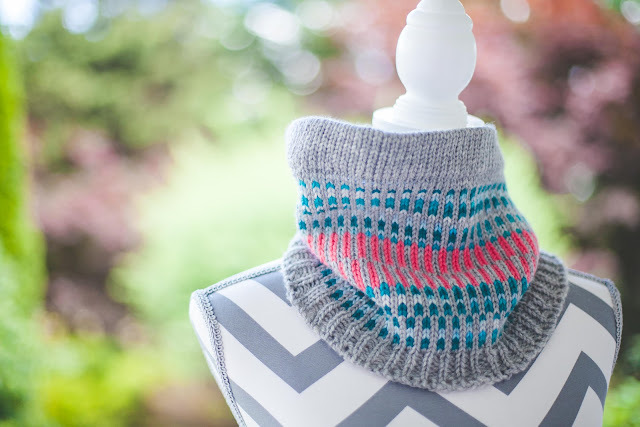 When I first shared this cowl on social media, it really got a lot of attention. Lots of people commented on it and loved its' design and colorway. 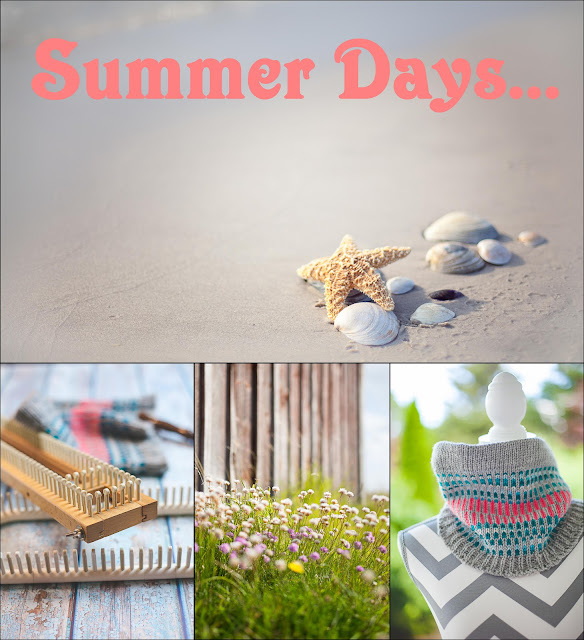 For that reason, I decided to make it available to everyone and place this one on the blog as a free pattern. The free pattern is below and I hope you enjoy it. Happy 4th of July week! 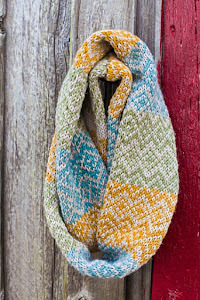 This urban style cowl features modern Fair Isle colorwork, a hemmed neckline for comfort and a flattering ribbed bottom border. Finished Measurements: 10”/25.4 cm L x 22”/55.9 L.
Gauge: 18 sts and 22 rows = 4”/10.2 Square in Stockinette St.
Yarn: Patons Classic Wool Worsted, 100% wool, #4 worsted weight, 209 yds/192m, 3.5ozs/100gms. 1 skein each, (B) Seabreeze Ombre (#77735), (C) Magenta (#77402) and (A) Grey Mix. Loom: Small Gauge, 3/8” peg spacing round loom with 90 pegs. The pattern works in multiples of 2. The KB Adjustable loom was used in sample. 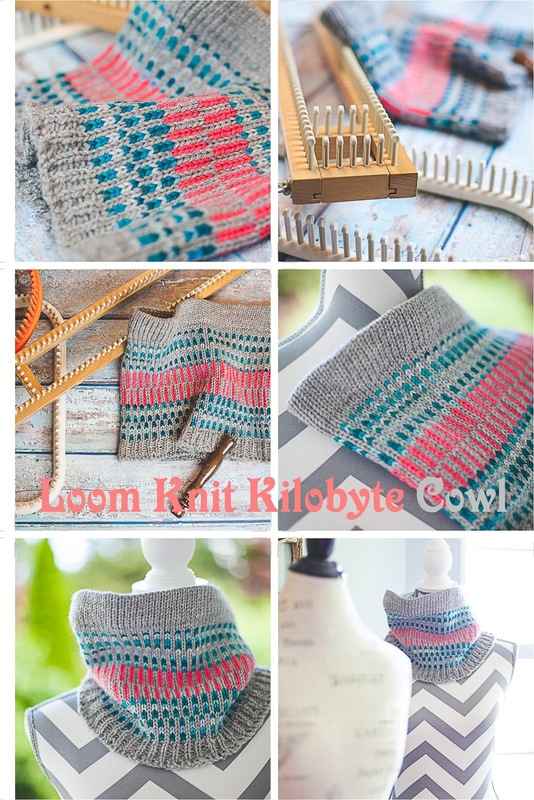 You may change loom/peg #'s to suit. 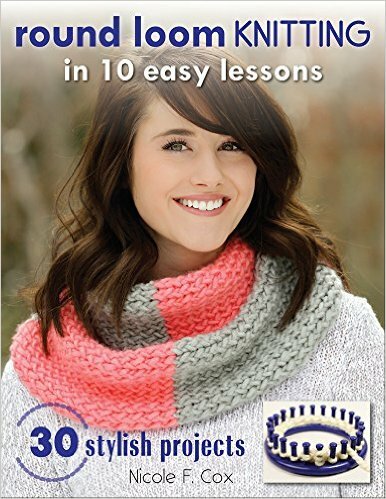 This is a Loom Friendly cowl and will work on any loom at any gauge using appropriate yarn weight and an even number of pegs/stitches. Do a gauge swatch to make sure it will be the size you want and fit over your head if changing the loom.  The cowl is worked in the round from top down. It has a hemmed top border (you can easily add ribbing if you prefer) and ribbed bottom border. 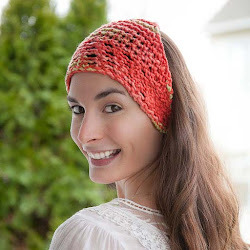  The cowl is gauged using the regular knit stitch (this is the only stitch I use for colorwork such as Fair Isle as it gives the crispest look to your stitches). If using the u-knit you may have to add more rows/stitches. The e-wrap knit is not recommended for this pattern. Foundation Rnd: Chain CO 90 sts with 1 strand A; join to work in the round. Rnd 1: Knit in A.
Repeat row 1 until work measures 3”/7.6 cm. Create hem: Lift the 1st row of stitches (cast-on row) up onto the loom one by one until all stitches are lifted (just like a hat brim) being careful to keep your sts in line. 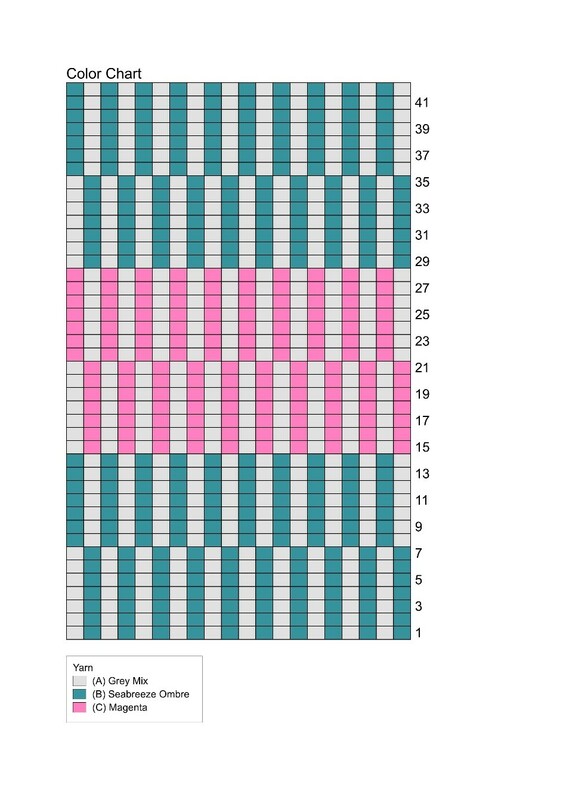 Rnds 1-3: Knit in A.
Rnds 1-7: *K1 in B, k1 in A, rep from * to end of rnd. Rnds 8-14: *K1 in A, k1 in B, rep from * to end of rnd. Rnds 15-21: *K1 in C, k1 in A, rep from * to end of rnd. Rnds 22-28: *K1 in A, k1 in C, rep from * to end of rnd. Rnds 29-42: As rounds 1-14. You may adjust rnds in this section to achieve the desired height of your cowl. Use a measuring tape for best results. Rnd 1: *K1, p1, rep from * to end of rnd. Repeat rnd 1 until bottom ribbing measures 1 ¼”/3.2 cm. Bind off: Chain one bind off all pegs. Finish: Weave in ends and block to even out stitches. Video This is my most commonly used cast on. Woohoo, Blueberries Are In Season!